In order to examine how voter preferences vary with information about the relevance of ethnicity and politician quality, researchers randomly assigned polling stations during the 2007 Uttar Pradesh elections to two information campaigns, one calling for people not to vote for a party simply for representing their caste and one calling them not to vote for corrupt candidates. The caste campaign not only reduced the likelihood that an individual would vote for a party representing their caste, but also increased voter turnout and reduced the voter share of candidates facing heinous criminal charges. The corruption campaign had no impact on voter turnout, voter registration, or the vote share of candidates identified as corrupt or facing heinous criminal charges. Transparency is valuable to democratic governments because it can provide citizens, who have the best understanding of their own needs and preferences, with information on how officials are working to meet those needs. Citizens can use this information to reward better performing incumbents, put pressure on their legislators, promote a more efficient allocation of goods and reduce the opportunities for corruption. However, obtaining information on the responsibilities or performances of their elected officials is not easy. Possibly because of the lack of such information, politics in many developing countries, and particularly in rural areas, is often based on caste and religious ties rather than on politicians' performance. Uttar Pradesh (UP) is India' s most populous state, and also one of the poorest. Over 80 percent of the population of UP is Hindu by religion. Ethnic politics in UP, as in much of India, are closely linked to the Hindu caste system. Historically the caste system divided Hindu society into a hierarchically ordered set of endogamous groups. Groups that are lower in this hierarchywhich are grouped by the present political system into two broad groups called the Scheduled Castes (SC) and Other Backward Castes (OBC) and form a majority in the populationhave been explicitly discriminated against in terms of access to education and other public facilities. However, in more recent years, the sense of hierarchy has been breaking down and the lower castes are more likely to see themselves as just another ethnic group often demanding restitution against past discrimination. Both ethnic politics and political corruption are seen as important features of UP' s political landscape. In addition, a significant fraction of legislators face criminal charges, further complicating voters' decisions. 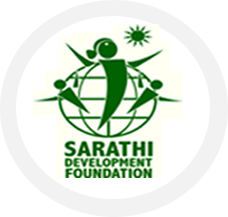 Researchers, together with local NGO Sarathi, evaluated two voter mobilization campaigns during the 2007 Uttar Pradesh elections. In the first campaign, researchers examined how voters in rural areas would respond to messages urging them to not vote on caste lines but to vote for development. The second campaign involved distributing messages about the corrupt practices of politicians and urged them to vote for clean politicians so development funds could be well spent. These campaigns were conducted in villages through meetings and the core campaign messages were delivered through puppet shows and posters. Caste Campaign: In rural UP, the message that people should not simply vote along caste lines significantly changed voter behavior. First, voter turnout increased by 9 percent. Further, survey data collected by the Center for the Study of Developing Societies showed that the likelihood that an individual would vote for the party which represented their caste decreased by 10 percent in villages which received this campaign compared to the control group. Finally, this reduction in caste-based voting was also accompanied by a 50 percent reduction in the vote share of candidates facing heinous criminal charges. In fact, the entire reduction in caste-preferred voting came from a move away from voting for candidates facing heinous criminal charges. Corruption Campaign: The message that people should not vote for corrupt politicians had no impact on voter registration. Moreover, it did not have a discernible effect on voter turnout. Finally, the study found no impact of the corruption campaign on the voter share of either candidates facing heinous criminal charges or candidates identified as being corrupt. Banerjee, Abhijit, Donald Green, Jennifer Green and Rohini Pande. "Can Voters be Primed to Choose Better Legislators? Experimental Evidence from Rural India." Working Paper, 2010.